When it comes to adopting social media, my friends occasionally accuse me of “coming late to the party”, and despite the fact I’ve been on LinkedIn for the better part of a decade (so not exactly a social media latecomer), I acknowledge that it took me until 2013 to find a reason to join Facebook. What’s more, it took me until 2014 to establish a presence on Twitter (@ConDolmas). OK, so I might have joined the Twitter party a little later than most, but boy have I learnt a lot over the last 12 months….and now I’m ready to implement much of what I’ve learnt. I’ve heard it said that Twitter can be one of the best tools in your marketing arsenal when you know how to leverage this social network to your maximum advantage, so over the next few months I’ll be following my own guidance here and implementing many of these tips for 2015. So rather than keep this all to myself, I’ve decided to help those of you who choose to include Twitter in your marketing strategy, and have included here a compilation of some of the best tips and tricks I’ve come across for building your list of followers and converting those peeps into, well, engaged raving fans who are open to your product or service offerings. Have a killer bio. Make it benefit oriented for the reader. Give a clear indication of what they can discover from following you. Add in a touch of humor, show that you’re human, add a bit of intrigue, and target it to the exact person you want to attract. Yes, it’s a tall order for a short bio, so work on it and then don’t be afraid to tweak it as you think of better ways to word what you want to say. Tweet consistently – as in everyday or even several times a day. Use a social media tool to schedule great content and even retweets to be dispersed at times throughout the day. Make your tweets short enough that other people can retweet them, adding a short comment of their own. Generally 100 characters or less is good. Reposting is cool if your content is great. In fact, it’s not only cool, it’s unfair to followers if you only post it once. What if they missed it? Respond to everyone. Whether they’re retweeting you, mentioning you or favoriting your tweet, be sure to respond back. Think of it this way: If someone standing next to you at a party said to the group, “You’ve got to hear what this person just said,” and points to you – or if they ask you a question – wouldn’t you respond back? Of course you would. And imagine how they would feel if you just ignored them. Ouch. Tip your hat often and liberally. When you link to someone’s content or share something from someone else, either add an [@mention] or a hat tip [HT: @mention]. People love to get credit for their own stuff, and they should get credit for it, too. Let everyone see your tweet – unless you don’t want them to. If you place a [@mention] at the beginning of your tweet, only you, the person receiving your tweet and anyone who happens to follow both accounts will see the tweets in their streams. This is useful if you want to keep your exchange private, but not if you want everyone else to see the tweet, too. Get your Twitter emails down to a manageable amount. Go to Twitter’s email notifications centre and you’ll see that Twitter has over 20 different email settings you can turn on or off. Customise these settings to suit you so that you stay in the loop but don’t get overwhelmed. Don’t try to read every Tweet, because you can’t. And even if you could, it takes too much time. Instead, carefully choose whose tweets you want to read. Then create a Twitter list of just these accounts. To set up a Twitter list, go to twitter.com/YourUserName/list and scroll to the bottom to create a new list. In the beginning, follow a lot of people to maximize the growth of your own followers. Later – if you want – you can use one of the many tools available to weed out those who no longer use Twitter, don’t follow you back, don’t engage, etc. I currently use “JustUnfollow” but there are plenty of other free tools available. 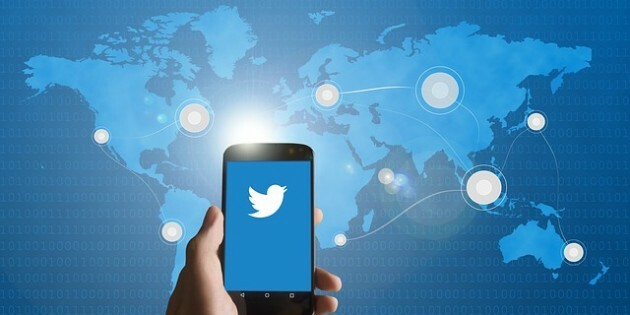 Twitter Tricks – whether you’re a new or a seasoned Twitter user, odds are there are at least a few Twitter tricks here you don’t know about yet. Get every Tweet you ever made. Maybe you want to see what you were doing on March 10th, 2009. Or you want to glean all the great tips you’ve given throughout the years and put them in a book. Whatever your reason, you can get ALL of your tweets since the beginning of Twitter by clicking the gear icon, clicking ‘settings’, going to the bottom and clicking ‘request your archive.’ Twitter will send you an email when it’s ready. Use hashtags. A lot. When someone searches for a particular hashtag, your tweet will show up regardless of whether or not they follow you. Tweets with hashtags get more engagement, more new followers and put you more in the spotlight while improving your reputation. Those little hashtags pack a powerful punch. Like shortcuts? Twitter has a BUNCH of them to save you time. For example, click ‘n’ for new tweet, ‘f’ for favorite, ‘r’ for reply and ‘t’ for retweet. To get the full list, type ‘?’ into Twitter. For Australian followers, tweet during the work day on Australian Eastern time, Monday through Thursday for the greatest engagement. If you’re using Twitter for business, schedule it into your day. Be sure to check Twitter once or twice each day to respond to conversations. Find out what lists you’re on. From your lists page, click on “member of.” You might get some interesting info from seeing the types of lists you’re on, as well as insight into how people perceive you. Subscribe to lists. You can only subscribe to public lists, not private. Go to the person’s profile, click ‘lists,’ and choose what list you’d like to subscribe to. This is a great way to get info on a particular niche, as well as getting yourself acquainted with players in the field. Popular Accounts – lists of engaging and well-liked accounts on Twitter, organized by common interests. Did you know you can use Twitter to text? Go to your mobile option within your settings and turn on Twitter text messaging. Note, additional charges may apply. Let Twitter make suggestions to you based on your web browsing. Twitter will find you new users who share some of your own browsing habits. For example, if you visit Learning & Development sites a lot, you’ll get suggestions of other users who visit the same type of sites. To enable this feature, click the gear icon, click ‘settings,’ and find the ‘web history option’ inside the Security and Privacy tab. Use Favorites your favorite way. Favorites is a versatile tool. You can favorite because you like something, because you want to bookmark something for later or because you want to end a conversation. Some use it as an endorsement, such as when they want to privately back one side of a Twitter fight. Others favorite because they don’t want to spam their followers with a lot of tweets. Use Favorites to entice someone to follow you. If you follow someone on Twitter and want to express approval for a tweet they sent while making them aware of your own presence, sometimes hitting the favorite button is the way to go. Find your best followers. Using Social Rank, you can find out which of your followers are the most engaged, which are the most valuable and which are overall the best. Social Rank looks at things like influence, follower count, content and engagement when making this determination, so you’ve got real info backing the choices and not just your gut instinct. From there you can choose which followers are a priority to build relationships with. Turn Twitter off. If Twitter is interfering with your work, your sleep or your love life, then you’re on it too much. Time to get tough with Twitter and yourself: Go to “mobile,” then select the times you want Twitter to leave you alone. One more thing: If you think Twitter is just for the youngsters? Think again. The fastest growing demographic on Twitter is the 55-64 year age bracket. I’m certainly not quite there yet, but the fact remains, this demographic has grown 79% since 2012. So if you’re marketing to this group, Twitter can reach them. So what did you think of the list? Would you use any of these tips or tricks within your own twitter account? Is there anything else you’d add? Your post was very helpful for me in improving my Twitter marketing. I especially liked your advice about re-posting and responding to everyone. Great informative post! Thanks for leaving a comment. I know how busy life can get sometimes and its people like you, and feedback like this that help me keep doing this. I’ll be honest, I’ve used Twitter for a few years now but you sure as anything do know your stuff! I didn’t realise Twitter could be that involved! I failed at your first tip by the way!, ‘have a killer bio’! Mines rubbish. Appreciate you stopping by and taking the time to comment. Really liked the post, Con, thank you. I am a Twitter virgin, so I’m not sure if that makes me a ‘Twit’ or a ‘Twee’? I have opened an account as part of my procession through John Thornhill’s P2S course and have to admit that apart from signing up, I was at a loss as to what to do next. Your post and the advice and tips it contained has clarified a lot of questions that I have. Your knowledge seems so intensive that I’d like to suggest that you’d do well to think about creating a product so that any other readers and myself could benefit. As for a Twitter product, that’s definitely food for thought. Very informative information on Twitter. Thank you for posting it. Thanks for commenting Roy, I appreciate the feedback.